The apartment building boom that occurred over the past few years in Near SE (AKA Capitol Riverfront) has now crossed South Capitol Street. After more than three years of delays due to the economic downturn, Camden Property Trust will finally start construction at 1345 South Capitol Street this quarter, according to Bisnow. 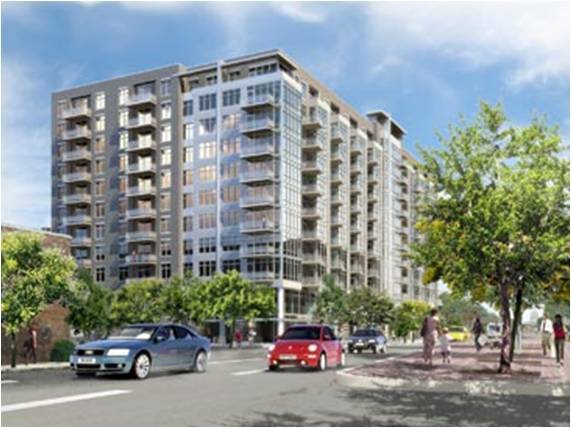 This will be the first brand-new apartment building to start construction in Southwest since the 1970s, although Potomac Place Condos began construction in 2003 as apartments. The 276-unit, 8-story 10-11-story apartment building designed by WDG Architecture will be located directly across the street from Nationals Park and contain about 3,300 square feet of ground floor retail. Twelve of the residential units will be reserved as affordable housing. Since “high-rise” residential construction in DC usually takes about two years to build, look for the units to be ready for occupancy by 2013. 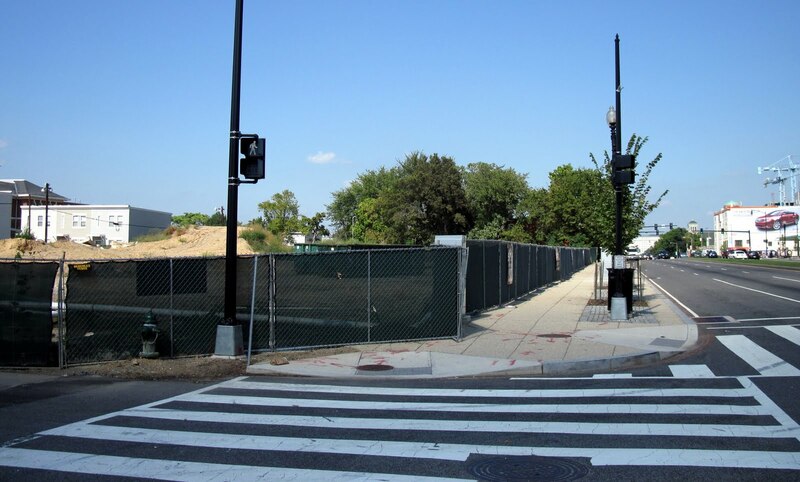 Due to its location on South Capitol Street, Near SE blog JDLand used to track this project before The Little Quadrant That Could came into existence in 2008, so check out her 1345 South Capitol page for some additional background. Update: I spoke with a representative from Camden Property Trust and got some more details about the planned apartment project. The project will cost $88 million to build and construction is scheduled to begin in March. 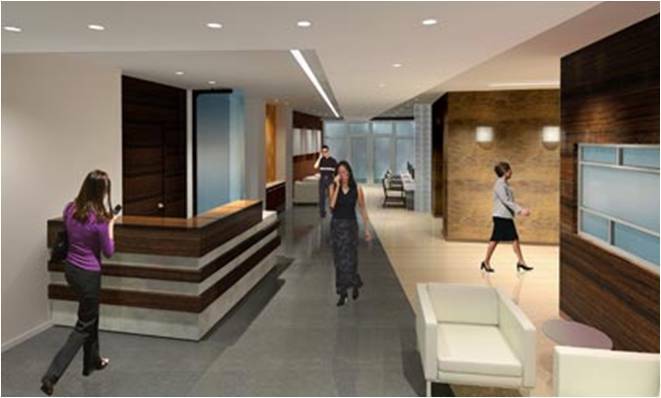 Leasing will commence in April 2013 and construction should be complete by June 2013. Among the planned project amenties is a rooftop deck with a pool and a total of 250 parking spaces. However, the project will not be LEED-certified. Awesome! Lets hope it's the beginning of a march eastward for developers! Whoops it's anon again. I meant Westward.... As in Southwest....Doh! I am so happy to hear that this building will be under-construction soon! It appears, however, that there are more than 8 stories to this building. I counted 11 stories from the rendering. Yeah, I believe this is an 11-story building. I will only believe this once it's published in the Washington Business Journal. I have heard too many false start on this project in the past. Anonymous @ 8:19: Developers don't make hires like a VP of real estate investment unless they plan on making real estate investments (like acquisitions and development), so I believe it this time. There have been several reports lately (including in the WBJ) about low supply of apartments and escalating rents. In that type of environment, developers are itching to get out of the ground before they miss the market and since this site already has been cleared and has all of its approvals, it can more forward relatively quickly. What isn't mentioned in the snippet from Bisnow is who is financing the project. I'm trying to get more info from Camden. Hopefully we'll get a cascading effect in the area --- I'm eager to see the other phases of Waterfront Station start, including the EPA building conversion. Also, the WBJ recently posted the details about the SEC move to the Constitution Centre. The move-in starts as early as February. These apartments appears to be very luxurious. There is the fact that the company trying to put it together has been mired with controversy. @ Houston Lofts..... What company doesn't have some form of controversy...let me list a few: Facebook, the entire banking industry, auto industry, too many to list. I can attest to the fact that they built 2 new condos/apts building in the ballpark district without any controversy. This building will be a blight on the neighborhood. No really. This is good new. Only 12 affordable units? Anyone know why this number is so small? Sarah N: The inclusionary zoning law didn't take effect until after this project was approved, which happened way back in 2007. Prior occupants on the lot was an old auto-body shop and an abandon building, so nobody (I.e. Public housing, etc) was displaced to build this building hence the 12 affordable units.